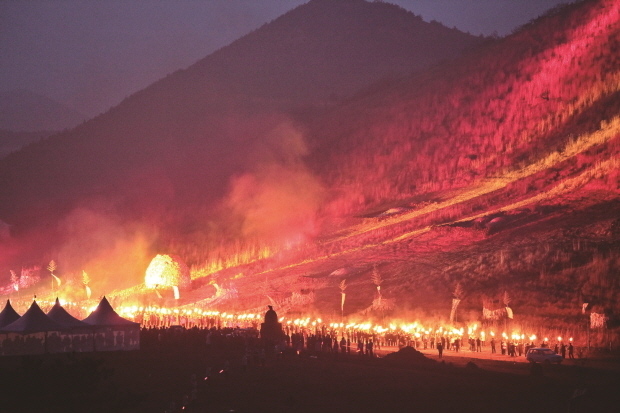 You don’t have to go to Gangwon-do to enjoy winter sports. You don’t even have to leave the city limits, in fact. 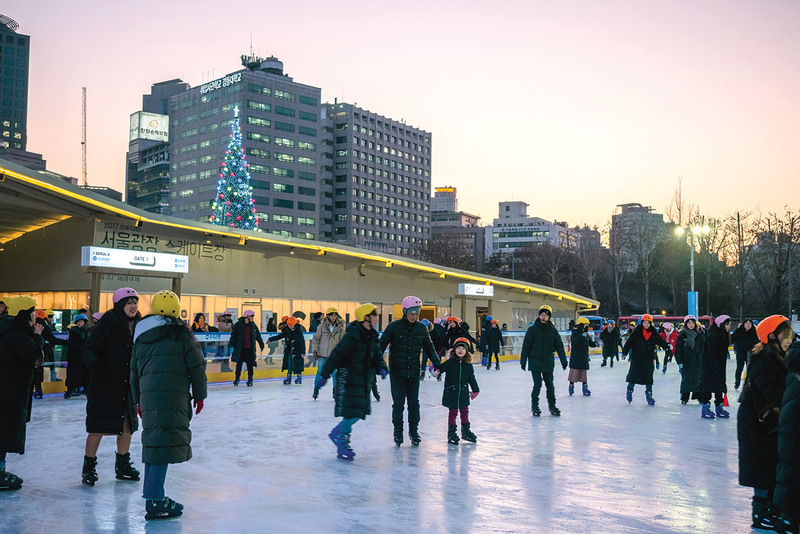 Ice skating — the art of moving across frozen water on shoes onto which blades have been affixed – is one of Seoul’s favorite winter pastimes, if the crowds at the ice rinks are anything to go by. 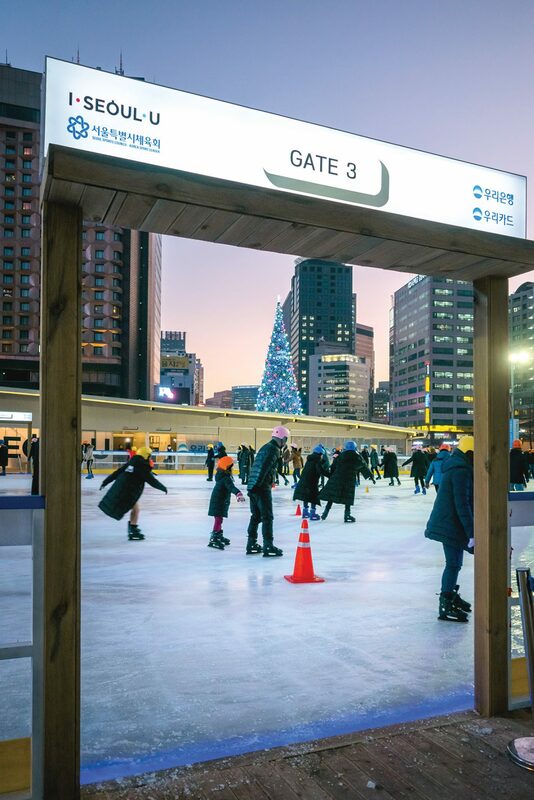 In terms of skating venues, Seoul’s greatest strength is its diversity — the city has a place for all budgets and occasions. 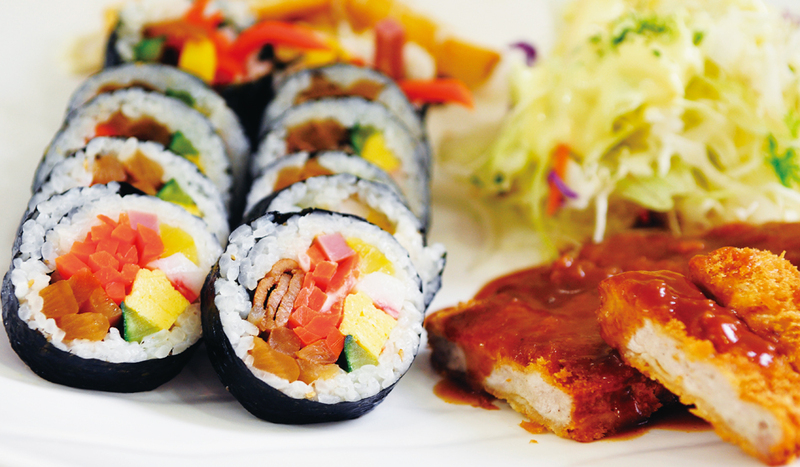 In this issue, SEOUL introduces four of our favorites. 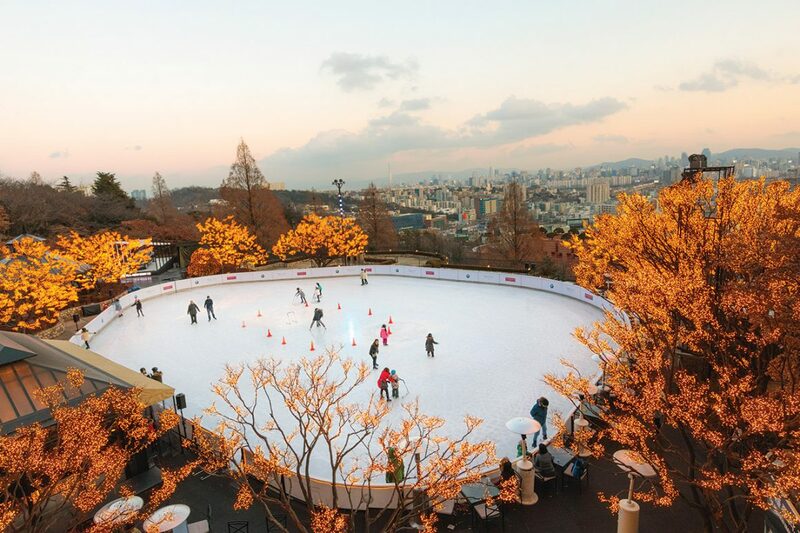 Arguably the city’s best-known ice rink, Seoul Plaza Ice Skating Rink returns after a year’s absence, when the metropolitan authorities canceled the rink so as to avoid interfering with last year’s political demonstrations that blanketed downtown, including Seoul Plaza. 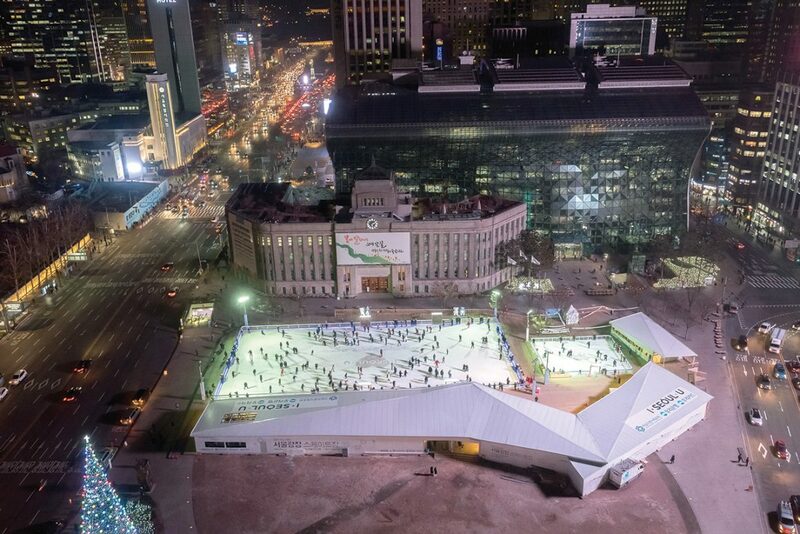 The 2018 edition of the Seoul Plaza Ice Skating Rink follows, more of less, the concept and design of the 2016 season. The builders have created a space for communication, a place where everyone — regardless of age, gender, national origin or physical ability — can enjoy winter sports. On a loudspeaker, MCs organize raffles and games, bringing skaters together for a bit of fun. The rink is a very participatory experience. Seoul Plaza Ice Skating Rink’s design resembles a giant ice floe, one that arrives suddenly in winter but disappears just as quickly in spring. The curved envelopes of the white buildings recall the peaks of an iceberg, while the two ice surfaces — the adult rink and children’s rink — mimic floating ice. The rink also integrates with the surrounding plaza through the clever use of angles and subordinate courtyards. As you glide along the mirrored ice, look around you. High-rise hotels and other skyscrapers surround the rink, but so, too, do buildings of more historical significance. 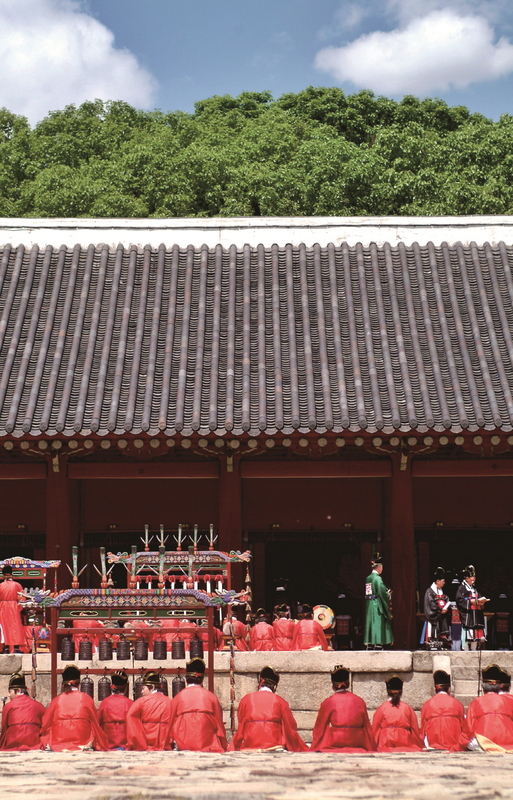 Just across the street is Deoksugung Palace, a vestige of Seoul’s past as a royal capital. In front of the rink is Seoul’s former city hall, a colonial-era building now serving as a public library, its austere gray facade in stark contrast with the undulating glass shell of the new city hall standing just next door. This architectural cacophony of wildly divergent eras and styles captures the rich diversity of a city constantly changing, as constantly on the move as the skaters on the ice below. 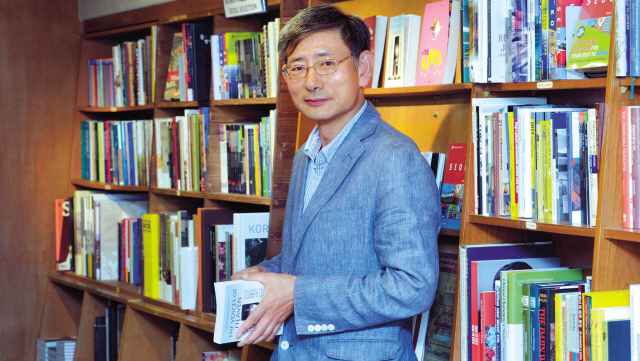 Admission is just KRW 1,000 an hour — the price even includes skate rentals. Bring a pair of gloves, though, as they are mandatory on the ice. If you forget to bring a pair, you can rent some for KRW 1,000. You can borrow or rent other items, too, including helmets, socks and hand warmers. You can purchase a ticket at the door or reserve one online. Skating lessons are offered, too. Hours are 10 a.m. to 9:30 p.m., Sunday to Thursday; these extend to 11 p.m. on Fridays and Saturdays, with a 30 -minute break every hour. Thanks to the Winter Olympics, the rink will operate longer than usual, running until the closing ceremony of PyeongChang 2018 on Feb. 25. Lotte World has been a fixture in Seoul’s Songpa-gu area since it was built in 1989. From the outside, it’s clear that there are an array of rides and roller coasters. What you may not already know, however, is that under the giant roof next to “Magic Island” is the world’s largest indoor theme park, and that at its very heart — surrounded by all the rides and an army of employees — is an Olympic-sized ice rink. 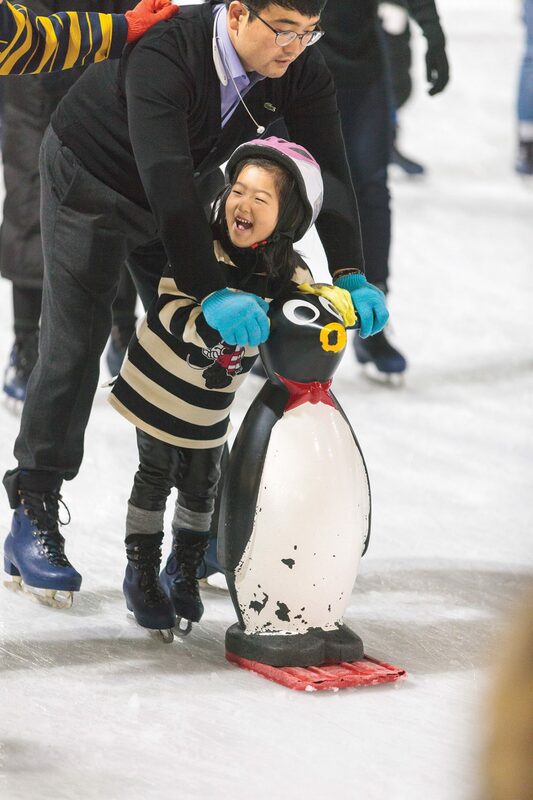 Considering that there’s also a theme park, aquarium, water park, shopping mall and — lest we forget — the fifth tallest building in the world rolled up nice and tight into one giant complex, it’s no surprise that the Lotte Ice Rink also draws Olympic-sized crowds. 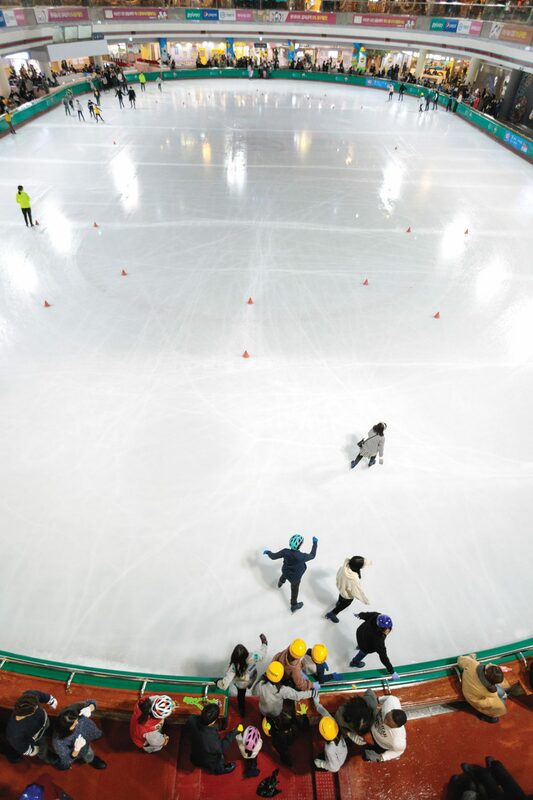 Lotte Ice Rink is the largest of the four rinks featured on these pages. Its most distinguishing feature is that it is housed under a massive sunroof four stories high. The space, and the natural light pouring in from the roof, make it feel like an outdoor rink, but with the significant upside that regardless of the weather, be it a scorching summer day or the current trend in the minus double digits, the temperature on the ice will always be comfortable enough that you can skate in whatever you wore outside. 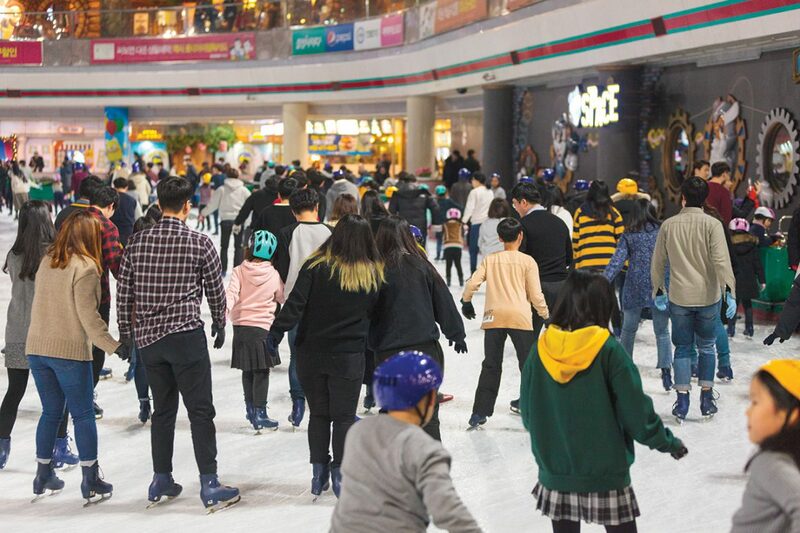 Don’t strip down too far though — all skating rinks in Korea mandate that you have long sleeves and gloves for safety reasons. 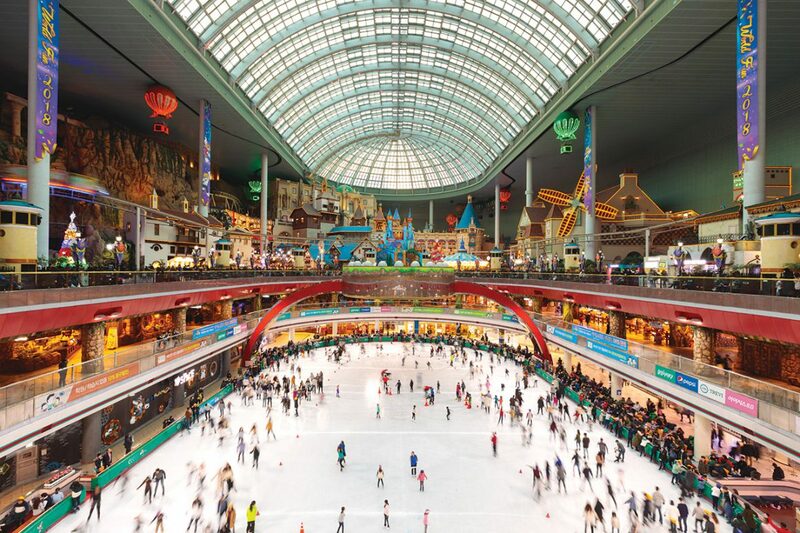 Another appealing design feature of the rink is that you can look down onto it from any of the four floors above, although the best views are from the first floor and Lotte World’s indoor balloon ride. Spectators can sit and stand rink-side free of charge. 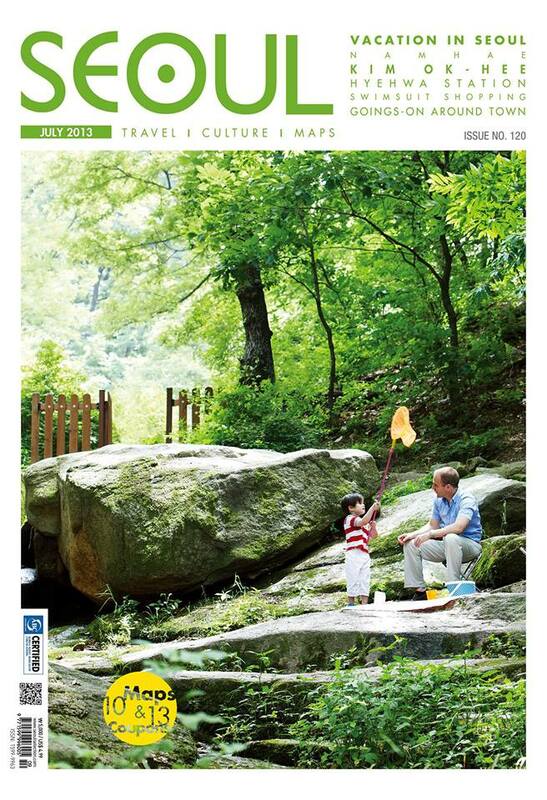 Accessing any of the upper balcony views require that you purchase a pass to the “Adventure” portion of the theme park, a minimum of KRW 22,000. Of course, skate rentals are available at all the rinks, and don’t despair if you forgot your gloves — they sell on-site the cheap knitted ones you find taxi drivers, cashiers and butchers wearing. When the Zamboni comes to resurface the ice, sit down for a leisurely drink or even a full course meal at one of the many rink-side restaurants, as it takes at least 30 minutes for him to make his rounds. 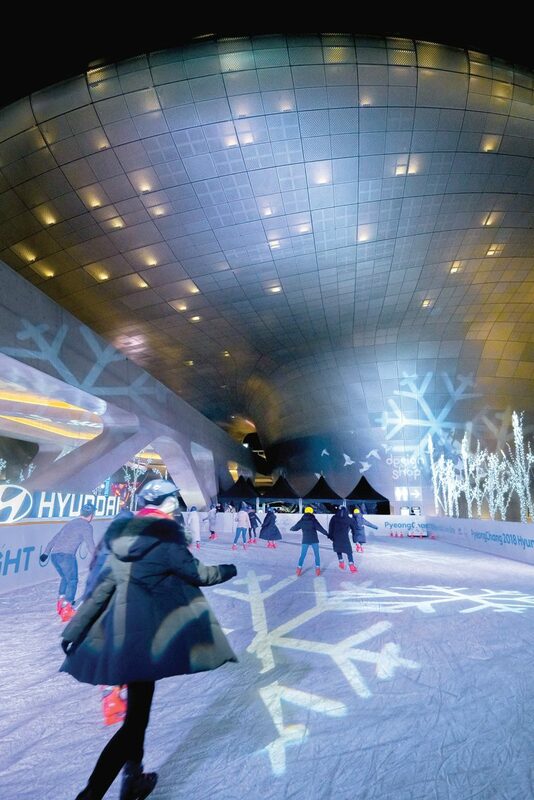 This writer would like to re-emphasize that Lotte Ice Rink gets incredibly busy. If you hail from a nation with more than one ice hockey team or have ever skated on a frozen natural body of water, be aware this is a completely different experience. Leave the hockey stick or figure skates at home — public skating here is mostly about holding hands while going in circles. If you go against the flow you will probably get the whistle from an employee. Perched just under the iconic Namsan Tower, amongst the embassies and ambassador’s residences, is the Grand Hyatt Hotel. Its curved glass facade looks southward out over Itaewon, Gangnam and the Hangang River, offering up one of the most panoramic views of Seoul. In the winter, the Hyatt transforms their outdoor pool into a skating rink. Arrive sunset, it’s like walking into a winter wonderland, the trees along the rink bejeweled in Christmas lights and city twinkling at you from below. Your heart would have to be colder than the ice to not feel a tinge of romance in the air. 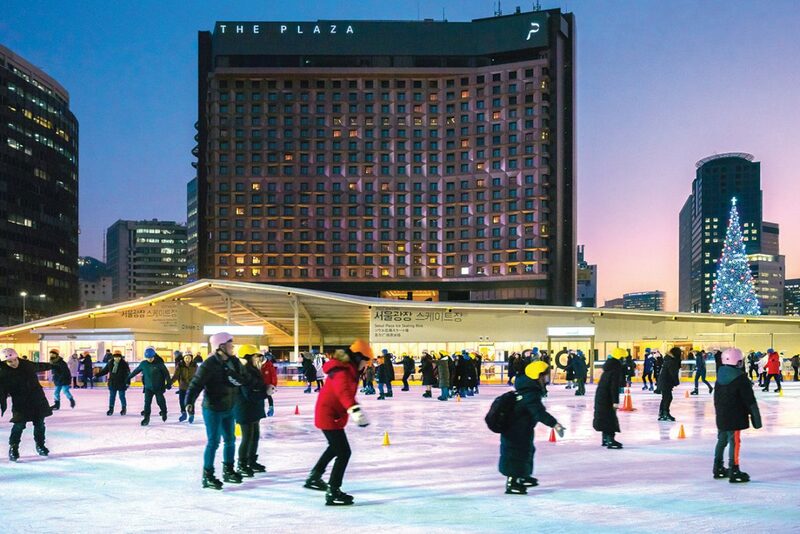 Though it costs a pretty penny, relative to the city’s other rinks, to get into the Hyatt’s, the high price of admission ensures that the ice doesn’t feel like Gangnam Station at rush hour. The Hyatt staff warns that the place can get quite busy on weekends, but on this weekday evening, there were less than 20 people on the ice at any given time. After 7 p.m., that number fell to two. When the Zamboni comes and you feel the urge to warm your fingers and toes, slip through the plastic flaps into the ice-side café. There’s no need to take off your skates. You will find all the usual hot drinks and alcohol beverages. Do as this writer did and try the Irish coffee — the best of both worlds. 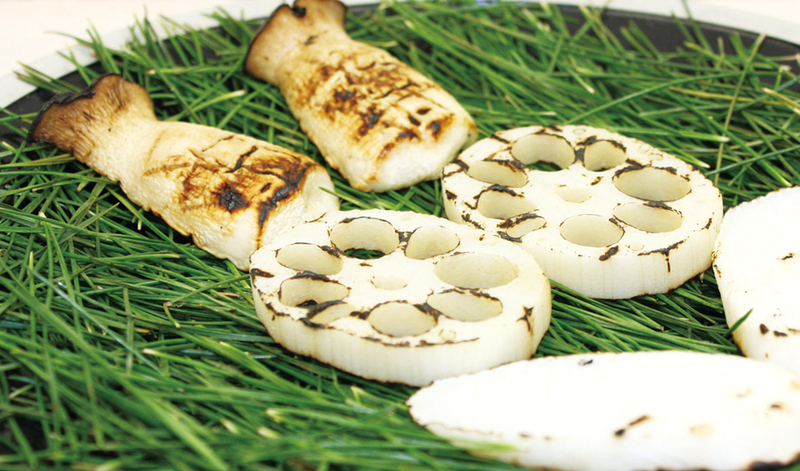 The café offers a variety of snacks, desserts and basic meals to replenish those energy reserves. 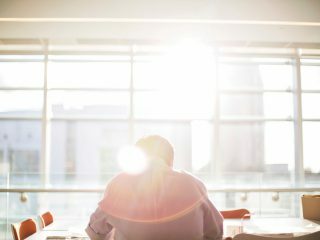 If staying warm is a priority, come during the sunny part of the day. Spectators can sit at the outdoor tables under the heat lamps or watch from the more sheltered café. 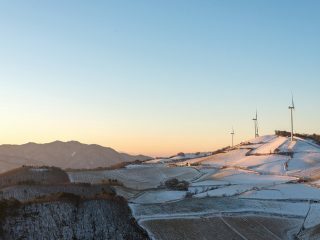 If you’re into photography, the best time to visit is right after the sun sets so you can catch “blue hour.” In the winter, you will typically get a much clearer view of the city due to less particulates in the air. 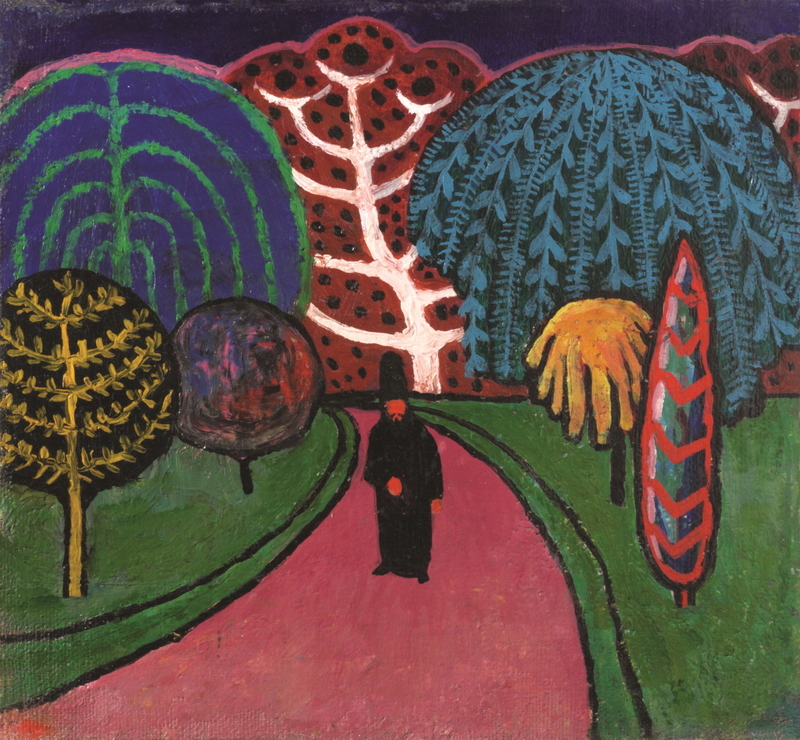 Remember to bundle up extra warm and don’t forget your gloves … or your loved one. 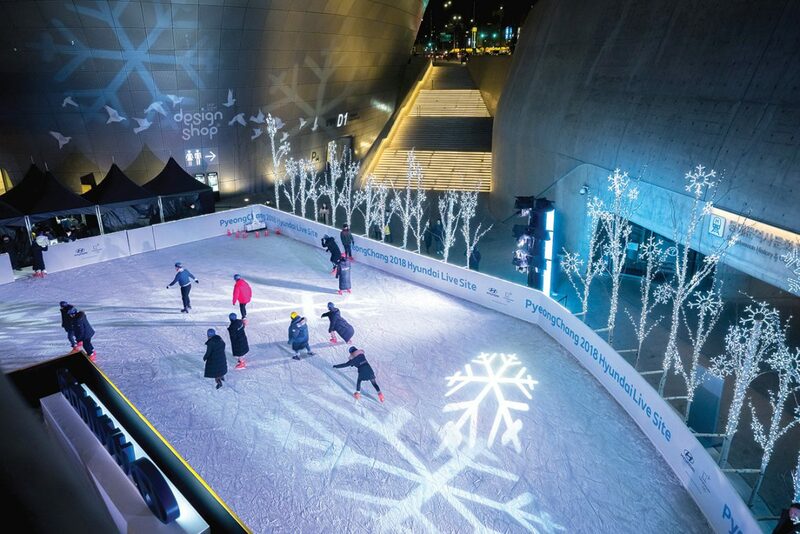 Two Korean icons, Hyundai Motor and the Dongdaemun Design Plaza (DDP), have teamed up to mark PyeongChang 2018 with Hyundai Live Site Light Up Ice Rink. The recreational ice surface in the sunken square of the DDP, late British architect Zaha Hadid’s futuristic masterpiece, offers an experience that can only be likened to skating beneath the starship Enterprise of Star Trek fame. For just KRW 1,000 per hour, you can glide around one of the pillars of the DDP’s imposing concrete entrance bridge. Though not as large as some of the city’s other rinks, the facility really shines — literally so, thanks to some inspired digital lighting work by Hyundai. Light sculptures and electronic snowflakes fashioned by strategically placed projectors create a magical atmosphere. It’s the perfect spot for a date. Only 50 people are allowed on the ice at any one time. While this means you may have to wait to get on the ice, it also means you’ll waste much less time worrying about crashing into other skaters. 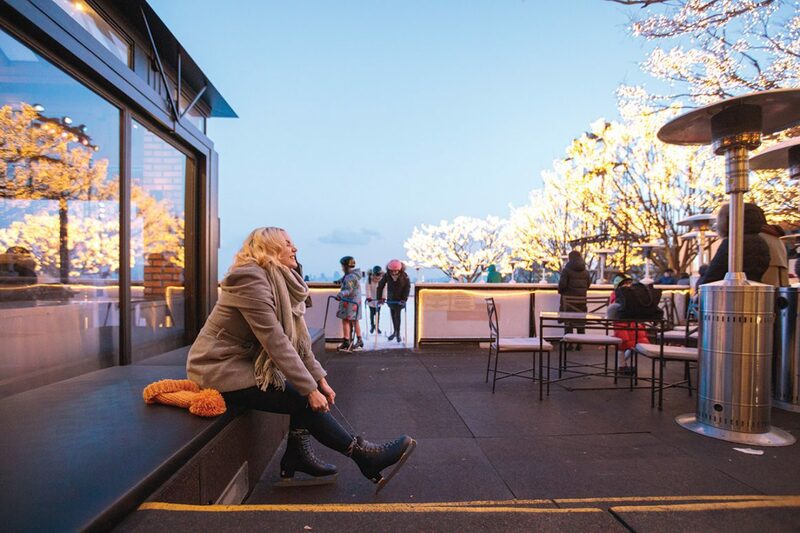 The rink opens at 1:30 p.m., but we recommend visiting after sunset for a more romantic experience. 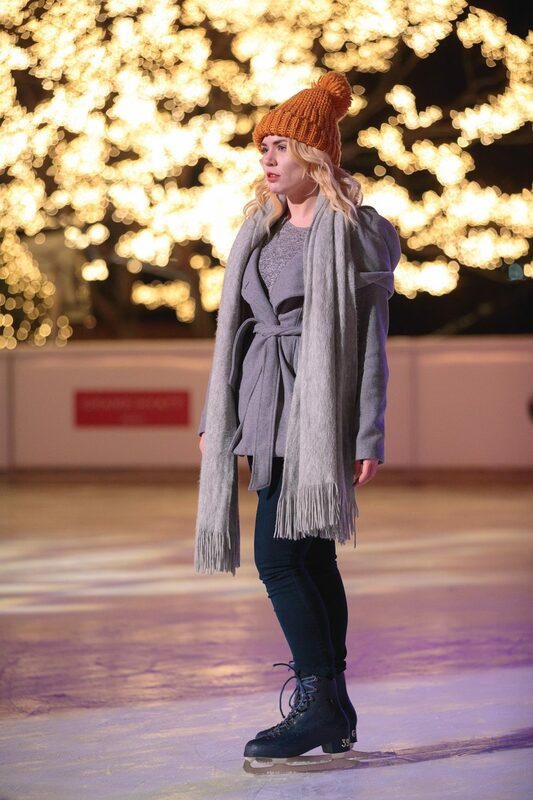 The rink is open until 9:30 p.m. — you can also make reservations online. 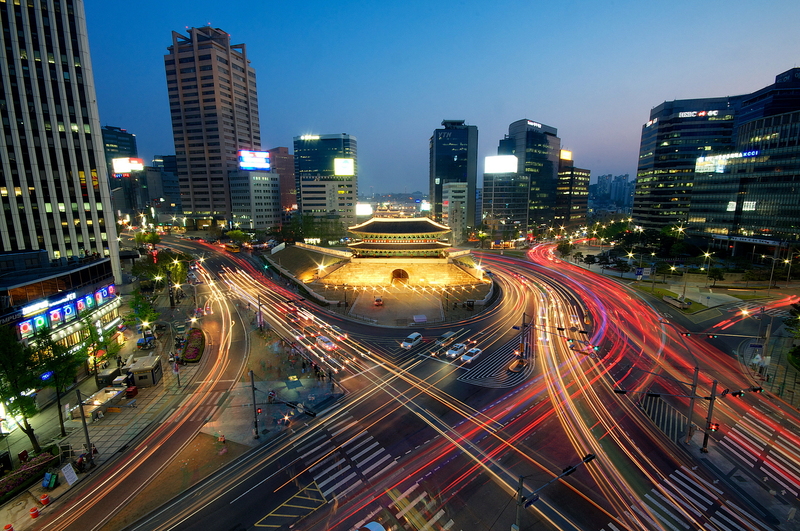 Opened in 2011, the DDP gave Seoul an internationally recognized architectural monument. 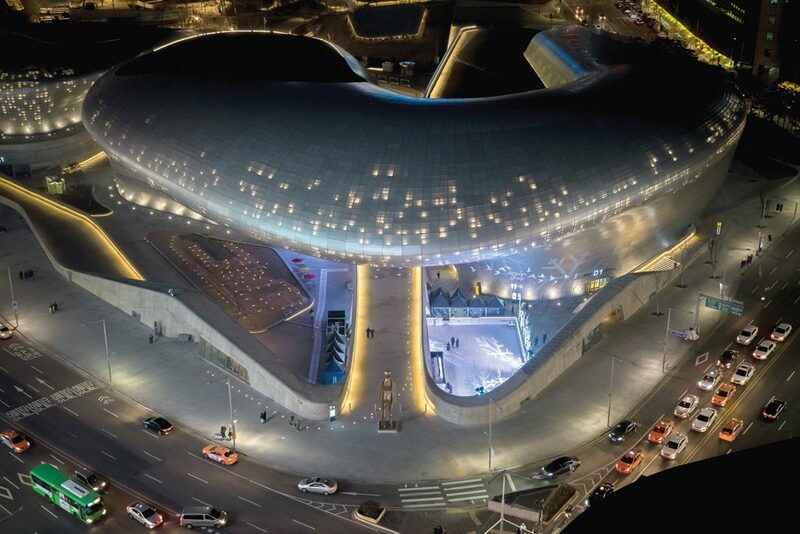 Located in the heart of Dongdaemun, the center of Korea’s fashion and design industries, the complex has exhibit spaces, design-related shops, restaurants and cafés, workshops and park spaces, including a section of Seoul’s old city wall. It also boasts several works of sculpture and installation art, most notably a garden of thousands of LED roses, one of the city’s most Instagrammed locations.